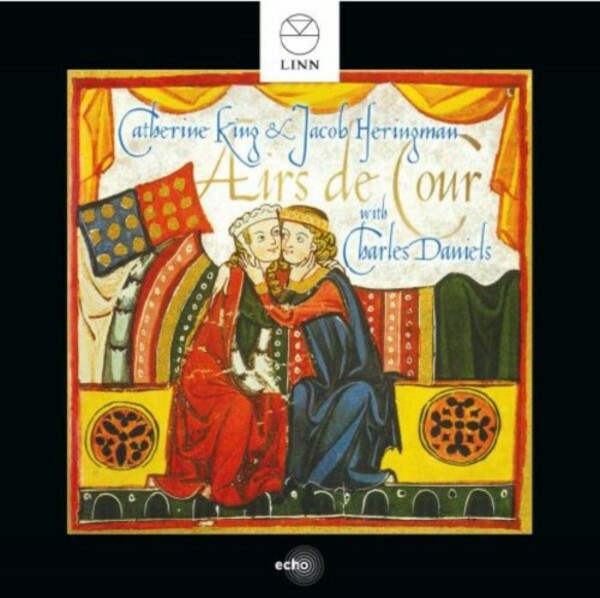 Named a ‘Choice’ recording by BBC Music Magazine upon release, this popular recording of seventeenth century vocal music features mezzo-soprano Catherine King and lutenist Jacob Heringman with tenor Charles Daniels. Originally released in 1999, 'Airs de cour' has been re-issued as part of Linn’s ECHO series which offers a second chance to enjoy the best of the label’s award-winning catalogue. The listener is transported to the French court in a programme of courtly airs and solo lute pieces, the latter a suitable complement to the airs and the lost ideals of the courtly society they reflect. Both the self-indulgent texts of these songs and their suave and rhythmically evasive melodies reflect a society rich in excess, intrigue and dissembling, all the more fascinating for being so distant, no less impressive for being so introverted. Well schooled in period performance, all the performers pay due attention to the authenticity of pronunciation and ornamentation for which scant records remain. O dieux je ne sçais pas is a rare example where an ornamented variant of the melody is included in the manuscript, revealing a further level of riches in these songs. Catherine King is acknowledged as one of the most versatile mezzo-sopranos of her generation, with an impressive breadth of repertoire. Jacob Heringman has established himself as one of the world’s most respected and most innovative solo lute players. They have made numerous appearances together in festivals throughout Europe, as well as broadcasting frequently for the BBC and for WDR in Cologne. Charles Daniels is an English tenor, particularly noted for his performances of baroque music. He is a frequent soloist with The King’s Consort, and has made over 25 recordings with the ensemble.